High altitude operations require not only knowledge of the effects of altitude on performance, but also an active participation in choosing the appropriate options to assist personnel in acclimatization and the mitigation of altitude stress. Leaders and individuals traveling to high altitude environments must be aware of the limitations of altitude, the options to reduce Acute Mountain Sickness impact on performance, and the relatively common and rapidly progressive operationally relevant diseases of altitude. Since nearly all significant altitude operations result in cold environmental stress, the effect of cold is a natural part of high altitude operations. Leadership as well as the individual must be proactive in this process since most medical providers are unfamiliar with the full range of options and ultimately the tradeoffs to achieve performance are tactical decisions. 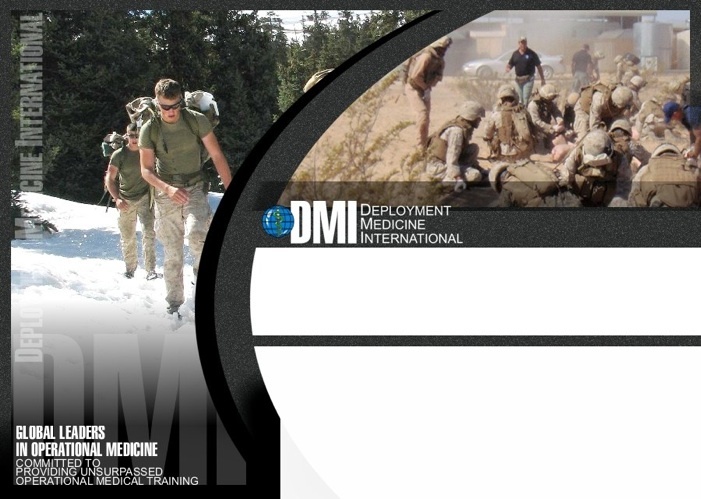 The DMI program in Mission Performance at High Altitude is an intensive science based explanation of the effects and mitigation strategies of this environment. Most significantly, the program presents the options available for the aggressive support of missions at high altitude: “What every professional going to altitude should know in order to succeed.” The relative impacts and benefits of various options will be clearly presented so that an informed decision can be made for any mission profile. Nothing is more powerful and informative than actual experience. The High Altitude Program is conducted as the participants transition to altitude. Participants will observe and experience the impacts of an operational scenario with rapid ascent to an altitude of 13,000 ft (ca 4000 m). The full impact of sudden altitude on physical and mental performance are experienced and measured. The effects of various mitigation strategies on operational overland movement and scenarios are then experienced. This program is designed for all personnel concerned with maintaining operational performance at altitude but especially leaders. The technical aspects and protocols are presented to any participating medical personnel to enable them to provide the full range of options to their units. All participants gain in their understanding of and experience the effects of altitude and the actions they may take to maximize mission success. Program Description: Participants receive classroom training and baseline measurements at home station or assembly point. On Day Two, group movement occurs to base camp ONE with measurement of observable effects of altitude. All personnel participate in overland movements with backpack to an elevation above 12,000 ft. with overnight in the field. On Day 3, training moves to a mountain hut where additional instruction on altitude effects is augmented by direct observation of these impacts and tailored scenarios. Effects of AMS are discussed and observed and preventive strategies selected. Personnel participate in mountain survival training and summit to, 14,500 ft, on day 5 with return to base on the evening of Day 5 where summary protocols and options are reviewed prior to move to airport and return. Please subscribe to our newsletter for updates on when this class and others will be offered. If you are a single participant, please send your information via our contact page to be added to our list for enrollment.